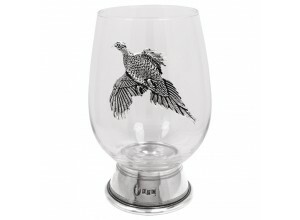 The popular Pheasant Collection from English Pewter Company is one which features a wide array of diverse and unique items. What they all have in common is the high standards of craftsmanship that mark out their pewterware from the rest. Expertly crafted using only high quality pewter, this set of six Pheasant Olive/Cocktail picks makes a great gift for a loved one who likes to entertain. 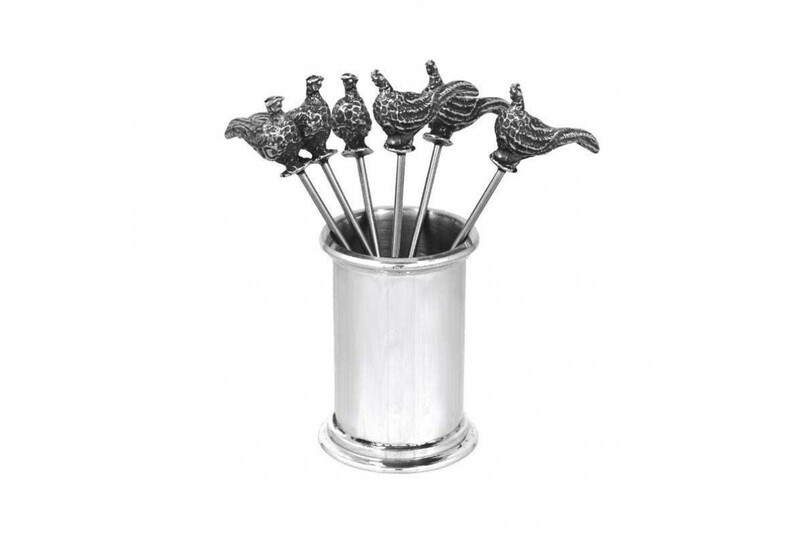 The beautiful pewter holder stands at 9.5cm tall and its elegant and understated style helps to further accentuate the intricate beauty of the pheasant styled picks. 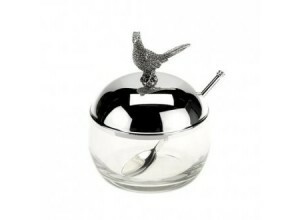 Sure to make any cocktail party go off with a bang or equally suited to display, the PHS130 set comes complete with a stylish cream and black English Pewter Company gift box. 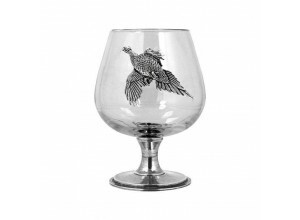 This unique pheasant jam dish is made from stainless steel and glass and would make a great addition.. 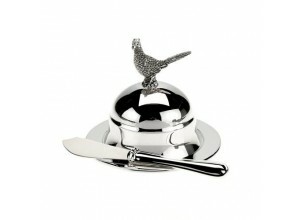 This stunning round pheasant butter dish would make a great addition to almost any table. Would make.. 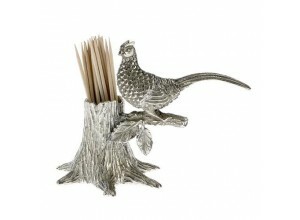 This fine cocktail stick holder is made from fine polished pewter and has a stunning pheasant on the..